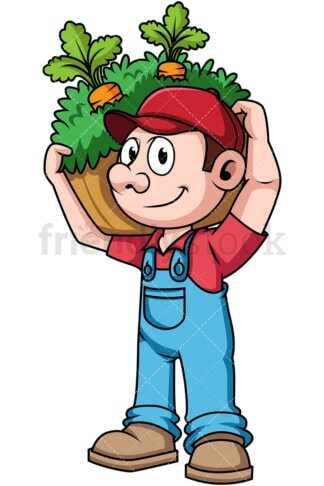 Royalty-free stock illustration of a young male farmer carrying a basket full of harvested vegetables and carots on his shoulder, smiling and looking happy. 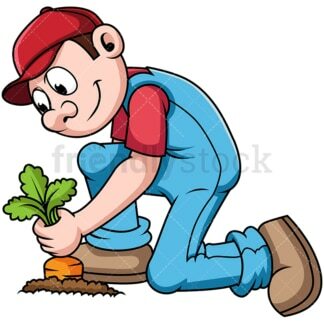 Royalty-free stock illustration of a young male farmer wearing a hat and harvesting a carot from the soil, smiling and looking happy. Royalty-free stock illustration of a young male farmer wearing a hat and gloves, working in the field, rolling hay by hand using a fork, smiling and looking pleased. 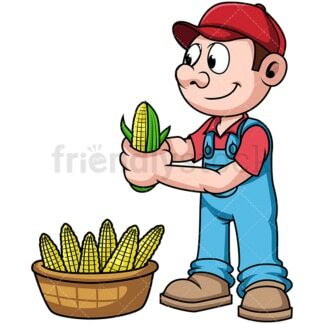 Royalty-free stock illustration of a young male farmer wearing a hat and peeling a corn during harvest before placing it in a basket. Royalty-free stock illustration of a young male farmer wearing a hat and working in the field, harvesting wheat, wearing a big smile on his face. 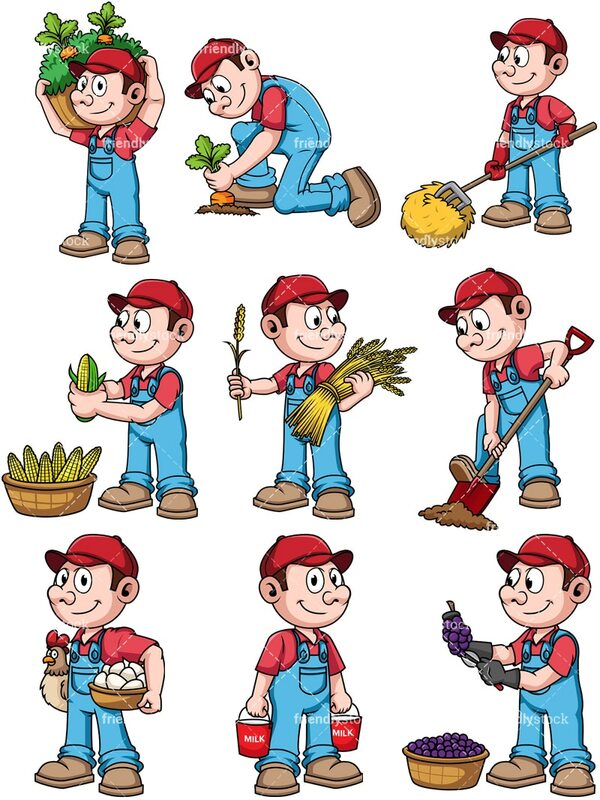 Royalty-free stock illustration of a young male farmer wearing a hat and using his leg to push a shovel further into the soil. Royalty-free stock illustration of a young male farmer holding a hen with one hand and a basket full of eggs with the other, smiling and looking happy. 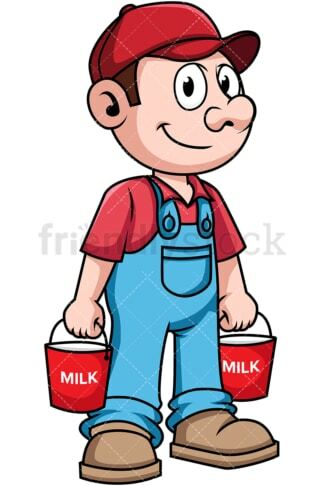 Royalty-free stock illustration of a young male farmer holding two buckets full of milk and smiling. Royalty-free stock illustration of a young male farmer wearing gloves and using a pruner while harvesting grapes in the vineyard.